I fervently believe that you honor God’s Word by using your brain, the most magnificent creation in the known universe. You honor God’s Word by taking modern knowledge to ancient texts. You honor God’s Word by reflecting on Scripture as you learn from your experiences with people, the more the better. You honor God’s Word by listening to how others interpret it who have backgrounds, lifestyles, cultures, and ethnicities different from your own. Rachel Held Evans is a progressive Christian blogger and author of the books Faith Unraveled, A Year of Biblical Womanhood and Searching for Sunday. Evans is also a prolific Facebook and Twitter poster who often stirs fiery debates in the comments sections with her posts. Here is her latest blog. – Well said, Rachel! I couldn’t agree with you more. Jesus on the cross echoes three healing images: the Passover lamb, the “Lifted-Up One,” and the scapegoat ritual. The third symbol deserves a deeper exploration because it is central to understanding how Jesus resets the pattern of history. We’ll spend this week looking at Jesus as scapegoat before we move on to the promise of resurrection. Sign up to receive CAC’s free daily, weekly, or monthly emails for yourself by clicking here! 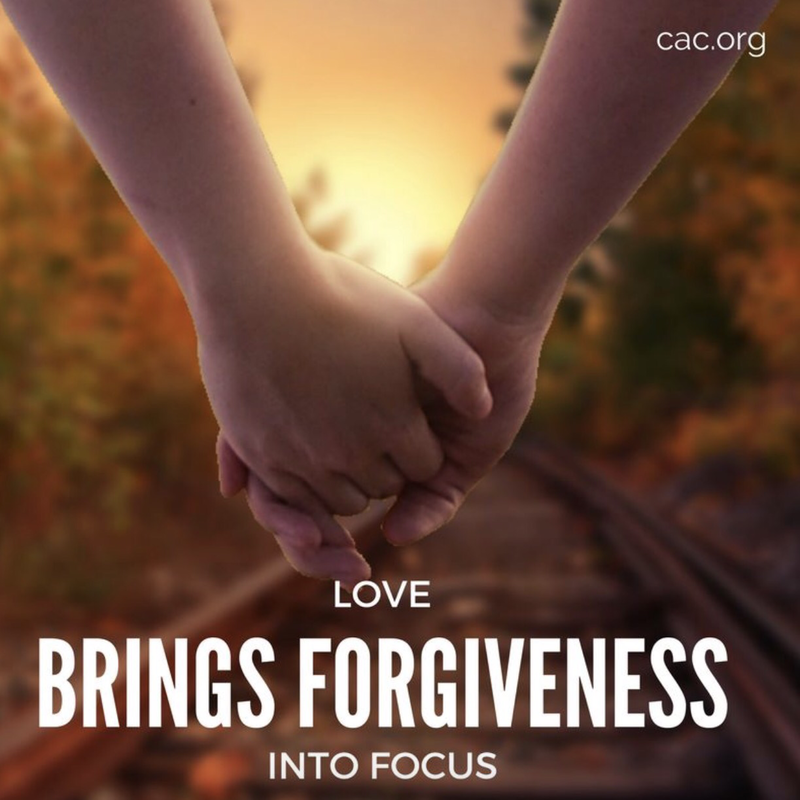 Richard Rohr’s Daily Meditations are made possible through the generosity of CAC’s donors. Please consider making a tax-deductible donation. Click here to donate securely online. 0:15 Good evening – or, good morning, I am not sure what time it is there. Regardless of the hour, I am thrilled to be participating in your conference. I very much like its title – “The Future You” – because, while looking at tomorrow, it invites us to open a dialogue today, to look at the future through a “you.” “The Future You:” the future is made of you, it is made of encounters, because life flows through our relations with others. Quite a few years of life have strengthened my conviction that each and everyone’s existence is deeply tied to that of others: life is not time merely passing by, life is about interactions. 2:35 First and foremost, I would love it if this meeting could help to remind us that we all need each other, none of us is an island, an autonomous and independent “I,” separated from the other, and we can only build the future by standing together, including everyone. We don’t think about it often, but everything is connected, and we need to restore our connections to a healthy state. Even the harsh judgment I hold in my heart against my brother or my sister, the open wound that was never cured, the offense that was never forgiven, the rancor that is only going to hurt me, are all instances of a fight that I carry within me, a flare deep in my heart that needs to be extinguished before it goes up in flames, leaving only ashes behind. 3:38 Many of us, nowadays, seem to believe that a happy future is something impossible to achieve. While such concerns must be taken very seriously, they are not invincible. They can be overcome when we don’t lock our door to the outside world. Happiness can only be discovered as a gift of harmony between the whole and each single component. Even science – and you know it better than I do – points to an understanding of reality as a place where every element connects and interacts with everything else. 4:27 And this brings me to my second message. How wonderful would it be if the growth of scientific and technological innovation would come along with more equality and social inclusion. How wonderful would it be, while we discover faraway planets, to rediscover the needs of the brothers and sisters orbiting around us. How wonderful would it be if solidarity, this beautiful and, at times, inconvenient word, were not simply reduced to social work, and became, instead, the default attitude in political, economic and scientific choices, as well as in the relationships among individuals, peoples and countries. Only by educating people to a true solidarity will we be able to overcome the “culture of waste,”which doesn’t concern only food and goods but, first and foremost, the people who are cast aside by our techno-economic systems which, without even realizing it, are now putting products at their core, instead of people. 6:08 Solidarity is a term that many wish to erase from the dictionary. Solidarity, however, is not an automatic mechanism. It cannot be programmed or controlled. It is a free response born from the heart of each and everyone. Yes, a free response! When one realizes that life, even in the middle of so many contradictions, is a gift, that love is the source and the meaning of life, how can they withhold their urge to do good to another fellow being? 6:50 In order to do good, we need memory, we need courage and we need creativity. And I know that TED gathers many creative minds. Yes, love does require a creative, concrete and ingenious attitude. Good intentions and conventional formulas, so often used to appease our conscience, are not enough. Let us help each other, all together, to remember that the other is not a statistic or a number. The other has a face. The “you” is always a real presence, a person to take care of. 7:52 There is a parable Jesus told to help us understand the difference between those who’d rather not be bothered and those who take care of the other. I am sure you have heard it before. It is the Parable of the Good Samaritan. When Jesus was asked: “Who is my neighbor?” – namely, “Who should I take care of?” –he told this story, the story of a man who had been assaulted, robbed, beaten and abandoned along a dirt road. Upon seeing him, a priest and a Levite, two very influential people of the time, walked past him without stopping to help. After a while, a Samaritan, a very much despised ethnicity at the time, walked by. Seeing the injured man lying on the ground, he did not ignore him as if he weren’t even there. Instead, he felt compassion for this man, which compelled him to act in a very concrete manner. He poured oil and wine on the wounds of the helpless man, brought him to a hostel and paid out of his pocket for him to be assisted. 10:26 We have so much to do, and we must do it together. But how can we do that with all the evil we breathe every day? Thank God, no system can nullify our desire to open up to the good, to compassion and to our capacity to react against evil, all of which stem from deep within our hearts. Now you might tell me, “Sure, these are beautiful words, but I am not the Good Samaritan, nor Mother Teresa of Calcutta.” On the contrary: we are precious, each and every one of us. Each and every one of us is irreplaceable in the eyes of God. Through the darkness of today’s conflicts, each and every one of us can become a bright candle, a reminder that light will overcome darkness, and never the other way around. 11:27 To Christians, the future does have a name, and its name is Hope. Feeling hopeful does not mean to be optimistically naïve and ignore the tragedy humanity is facing. Hope is the virtue of a heart that doesn’t lock itself into darkness, that doesn’t dwell on the past, does not simply get by in the present, but is able to see a tomorrow. Hope is the door that opens onto the future. Hope is a humble, hidden seed of life that, with time, will develop into a large tree. It is like some invisible yeast that allows the whole dough to grow, that brings flavor to all aspects of life. And it can do so much, because a tiny flicker of light that feeds on hope is enough to shatter the shield of darkness. A single individual is enough for hope to exist, and that individual can be you. And then there will be another “you,” and another “you,” and it turns into an “us.” And so, does hope begin when we have an “us?” No. Hope began with one “you.” When there is an “us,” there begins a revolution. 13:16 The third message I would like to share today is, indeed, about revolution: the revolution of tenderness. And what is tenderness? It is the love that comes close and becomes real. It is a movement that starts from our heart and reaches the eyes, the ears and the hands. Tenderness means to use our eyes to see the other, our ears to hear the other, to listen to the children, the poor, those who are afraid of the future. To listen also to the silent cry of our common home, of our sick and polluted earth. Tenderness means to use our hands and our heart to comfort the other, to take care of those in need. 14:13 Tenderness is the language of the young children, of those who need the other. A child’s love for mom and dad grows through their touch, their gaze, their voice, their tenderness. I like when I hear parents talk to their babies, adapting to the little child, sharing the same level of communication. This is tenderness: being on the same level as the other. God himself descended into Jesus to be on our level. This is the same path the Good Samaritan took. This is the path that Jesus himself took. He lowered himself, he lived his entire human existence practicing the real, concrete language of love. 15:23 Yes, tenderness is the path of choice for the strongest, most courageous men and women. Tenderness is not weakness; it is fortitude. It is the path of solidarity, the path of humility. Please, allow me to say it loud and clear: the more powerful you are, the more your actions will have an impact on people, the more responsible you are to act humbly. If you don’t, your power will ruin you, and you will ruin the other. There is a saying in Argentina: “Power is like drinking gin on an empty stomach.” You feel dizzy, you get drunk, you lose your balance, and you will end up hurting yourself and those around you, if you don’t connect your power with humility and tenderness. Through humility and concrete love, on the other hand, power – the highest, the strongest one – becomes a service, a force for good. 16:52 The future of humankind isn’t exclusively in the hands of politicians, of great leaders, of big companies. Yes, they do hold an enormous responsibility. But the future is, most of all, in the hands of those people who recognize the other as a “you” and themselves as part of an “us.” We all need each other. And so, please, think of me as well with tenderness, so that I can fulfill the task I have been given for the good of the other, of each and every one, of all of you, of all of us. Thank you. the day that death died. Happy Easter! This poem was written by my childhood Pastor. He recited it at my Father’s Celebration of Life service six years ago. What a gift from a hand guided by the greatest gift giver of all. God restores rather than punishes, which is a much higher notion of how things are “justified” before God. The full and final Biblical message is restorative justice, but most of history has only been able to understand retributive justice. Now, I know you’re probably thinking of many passages in the Old Testament that sure sound like serious retribution. And I can’t deny there are numerous black and white, vengeful scriptures, which is precisely why we must recognize that all scriptures are not equally inspired or from the same level of consciousness. Please take a moment to read Father Rohr’s full meditation. As long as your ego is in charge, you will demand a retributive God; you’ll insist that hell is necessary. But if you have been transformed by love, hell will no longer make sense to you because you know that God has always loved you in your sinfulness. Why would God change policies after death? We are all saved by mercy and grace without exception—before, during, and after our life in this world. Could God’s love really be that great and universal? Love is the lesson, and God’s love is so great that God will finally teach it to all of us. Who would be able to resist it once they see it? We’ll finally surrender, and God—Love—will finally win. God never loses. That is what it means to be God. That will be God’s “justice,” which will swallow up our lesser versions of retributive justice. Father Richard Rohr visits Google to speak on his new book, Divine Dance: The Trinity and your Transformation. Father Rohr highlights his unique ideas on how to have a relationship with God in the modern day and how religious people can be respected for having a “mystic worldview” in a scientific world. If you can’t find the time to watch the full version – forward to the final 10 minutes for an awesome summation.